Iceland Erupts is a great addition to a tour of the South Coast! 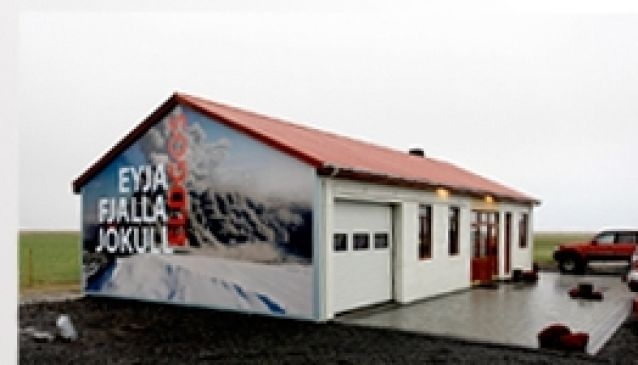 Iceland Erupts is an exhibition about the 2010 eruption of volcano Eyjafjallajökull made by the people who lost their land in the ash-cloud of the 2010 eruption of Eyjafjallajökull. They lived their lives with this slumbering giant in their back yard, had heard the stories of his glorious past, but they had no idea of the power that would force them to evacuate their land with a moment's notice, as well as stranding thousands upon thousands of people all around the world on that fateful day. The exhibition opened already in April 2011, which is basically as soon as the ash settled, and has been wildly popular ever since. Stop by there on your tour of the South Coast, it's in the area of Skógafoss and Seljalandsfoss waterfalls, not far from Vík. For the very adventureous you could even hike or take a super jeep tour to the top of the volcano itself!